While Apple has Siri and Amazon has Alexa, there’s a third big player in the voice-assistant game: Google's very own voice-activated effort, Google Assistant. It might not have captured the public's imagination in the same way as its counterparts, and Alexa in particular, but it’s no less useful. In fact, there are some things this handy little tool can do that most users don’t even know it’s capable of. So to make sure you’re making the most of your trusty voice-activated partner, we’ve gathered together nine handy but not necessarily obvious Google Assistant features that will help to make it genuinely useful in loads of situations you might not have expected. Drawing on the sheer breadth of information at Google’s search engine fingertips, it’s safe to say Google Assistant has a lot of potential uses, including the ability to find the best route to a certain location. Just say “Get me home” and it will draw information from Google Maps to show you (or tell you) the best route based on your current location. You can also use the voice-activated element to check traffic updates, and get the latest information on diversions and closures. This feature is especially useful if you primarily use Google Assistant on the move. Google Assistant has been designed to assist you, after all, so it makes sense that something as mundane (yet important) as making a shopping list can be done with your voice. Not only does Google Assistant collate all those items into one place, it will even read back what’s on your currently saved list to ensure you haven't left anything out, enabling you to go about your day with one less thing to worry about. Most of us are so busy these days that even taking the time to browse the latest stories on Twitter or your chosen RSS feed can feel like a drag on your time. So why not use Google Assistant to read them out for you? It’s not an obvious feature, but if you say “Play the news” Assistant will start reading out stories from your preferred news sources. You can ask it to stop, pause and play at any time, and you can even ask it to read stories from a specific source or specialist media site. If you’re running around the house trying to find your keys while grabbing a piece of toast before work, it’s a great way to keep up to date. If you’re like us and you’ve started to slowly add more and more smart devices to your home – be they thermostats, lightbulbs or ovens that preheat themselves – then you can use Google Assistant to connect you to them via a single voice-controlled hub. Open Google Assistant, press the menu icon in the upper-right corner of the screen and select Settings. From there you can add any compatible smart devices (and many devices are compatible) that are currently active in your home. From Philips Hue lightbulbs to Honeywell thermostats, plenty of gadgets will respond to your voice-activated commands. Whether you’re looking to check how many dollars you can get to the pound or wondering how many inches there are in a kilometer, you can rely on your voice-activated servant to do the math for you. Google Assistant can perform almost any conversion calculation, and it will read out the answer. Tired of getting dogged with cold calls from automated messages and companies trying to sell you a dodgy service? Well, Google Assistant can help with that, too. If you happen to own a Google Pixel 3 or Pixel 3 XL, the voice-activated service includes a feature that will answer certain calls on your behalf. Netflix has made its way onto most our smart devices, and whether you’re still mourning the cancellation of Daredevil or looking for a belly laugh or two with Brooklyn Nine-Nine, Google Assistant can help connect you to your favorite TV shows and films, all with voice commands. Simply say, for example, “Play Mowgli: Legend of the Jungle on Netflix” and – as long as Netflix is set up on your Android device, you’re signed into the app and you've connected it up – Google Assistant will queue up the show/film and start playing it in a matter of seconds. This is handier on a TV with Google Assistant built in than on some other devices, but it’s a simple way to call up a movie to watch on your phone too. 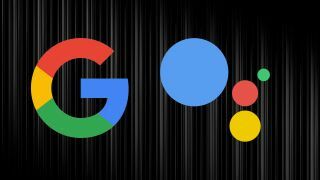 If you're using Google Assistant there’s a good chance that you use some of Google’s other services, including Gmail and Google Drive, so why not use Assistant to connect to some of these apps? If you use Gmail as your work account, you can ask the utility to check through your emails for certain keywords, or bring up an appointment that’s been added to your Calendar app. You can even use Google Assistant to take notes with Google Keep, should you need to jot down a quick thought or idea while you’re busy with other tasks. This feature is especially useful if you need to catch up any new emails you’ve yet to read or respond to. Struggling to find someone to enjoy a quick game with? Want to test your grey matter while you have a few minutes to spare? Well, Google Assistant can help on both accounts by challenging you to a game of solitaire or naughts and crosses / tic-tac-toe. It can also tell you some awful jokes or puns, and even read out an inspirational quote or message if you’re need of a little motivation – you can even ask Assistant to find something funny for you to watch by checking currently trending videos on YouTube. Brought to you in association with Nokia and Android One, helping you to make more of your smartphone. You can learn more about the new Nokia 7.1 here, and you'll find more great advice on getting the most from your phone here.